Adult Education programs take place in the chapel following worship and coffee fellowship on Sunday mornings. Sessions include a variety of topics to nurture and support our congregation in mind, body, and spirit in an informative, meaningful learning environment. 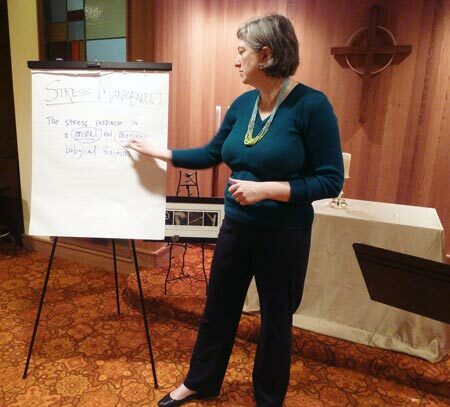 Organized by a small committee of church members, Adult Education programs are presented by congregants and members of organizations outside the church alike. Recent topics include a stress management workshop, a discussion on handling conflicts on social media, a workshop on funeral planning, and a series presented by the Muslim Educational Trust. The American Red Cross, SacredFlight, Providence Community Care, and L’Arche are just a few organizations who have presented during the Adult Education hour. Programs are typically scheduled on Sundays throughout September-May.